In 2001, in the wake of the terrorist attacks of September 11th, “homeland security” went from being a concept discussed among a relatively small cadre of policymakers and strategic thinkers to a broadly discussed issue in Congress. Debates over how to implement coordinated homeland security policy led to the passage of the Homeland Security Act of 2002 and the establishment of the Department of Homeland Security (DHS). Evolution of America’s response to terrorist threats has continued under the leadership of different Administrations, Congresses, and in a shifting environment of public opinion. 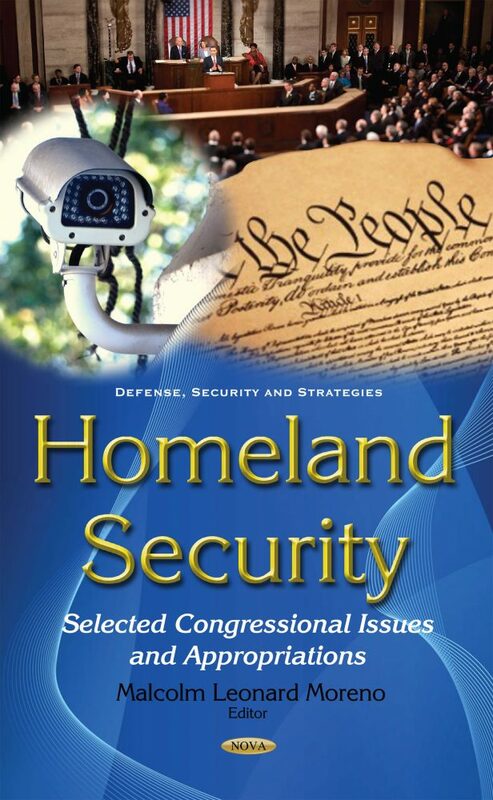 This book outlines an array of homeland security issues that may come before the 114th Congress. It provides a brief discussion of the definitions of homeland security, the homeland security budget, and the role of homeland security actors in the intelligence community; discusses the FY2016 appropriations for the DHS and provides an overview of the Administration’s FY2016 request; and discusses appropriations for the components of DHS included in the second title of the homeland security appropriations bill.